Welcome to Deanz Greenz! A locally owned two location dispensary that thrives to provide all the best local products with the most affordable prices. We welcome everyone to come and check out some product and interact with our educated and professonal budtenders. 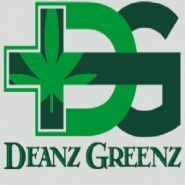 Here at Deanz Greenz we strive to be the best with customer service being the number one priority. We have every day daily specials as listed below! We have a happy hour special from 4:20 to 7:10 every day to save 15% off on all paraphernalia that you might be in need of for your partaking experience. We love to honor our veterans! With proof of service we honor a 15% discount store wide every day of the week. We also respect our elders so with that we also do a 15% discount store wide with proof of i.d to show your +55. Come visit either of our locations open 365 days a year!